!! Book 1-Day Emergency First-Aid course now at the discounted price of £54.99 only instead of £75.00!! 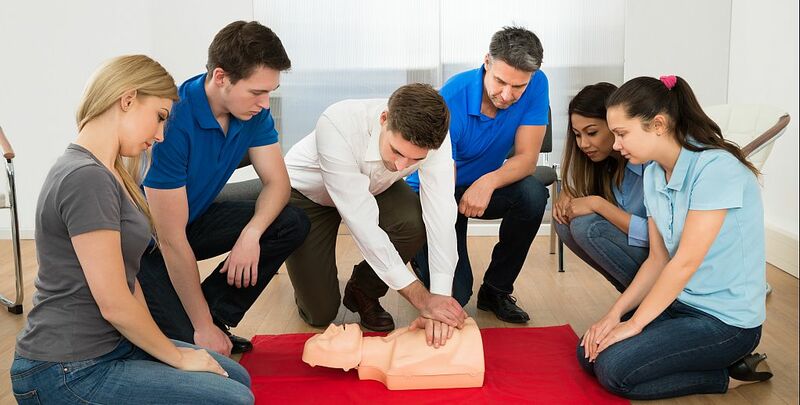 This one-day emergency first aid course is designed for those learners wishing to gain a nationally recognised qualification in first aid and become emergency first aiders in their workplace. This qualification meets the requirements for training emergency first-aiders in those organisations that have identified that staff need to be trained to this level within their first-aid needs assessment. After attending the course and successfully completing a multiple-choice examination, candidates receive a Level 3 Award in Emergency First Aid at Work certificate and a First-Aider ID card, that can be used to provide as an evidence for compliance and audit. Assessment : Need to demonstrate practical skills, answer questions to prove knowledge and a multiple-choice examination.